One of the worst things an investor can do is "set it and forget it" when it comes to your money – especially in today's markets when "buy and hold" is more akin to "buy and hope." Buy and manage is what you want to do in the name of profits. That way you never lose touch – not with your expectations, not with an investment you've chosen, and certainly not with your money. 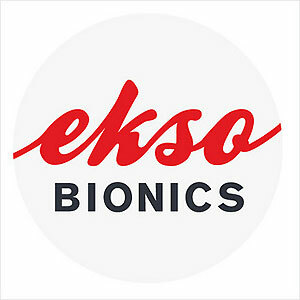 On that note, let's check in on Ekso Bionics Holdings Ltd. (Nasdaq: EKSO). I hear from tens of thousands of investors who want a stock to go ballistic the moment they buy it. In fact, I'm hard-pressed to think of anything I love more than the rush that comes with watching a stock I've recommended take off because I know that readers who are following along are making a killing. It's why we're all here. That's why a stock like Ekso can be so exciting and so frustrating at the same time. Over the years, I've seen plenty of companies like Ekso, so I've learned to balance a good deal of patience with profitability. Admittedly, that's not always easy. Take Quality Systems Inc. (Nasdaq: QSII), for example. The company's stock languished from January 1997 to March 1998 in a nearly flat and very tight trading band that had to make more than a few shareholders question their investment when you consider that the S&P 500 returned more than 47% over the same time frame. Worse, the stock actually dropped to enter the 21st century with gains of just $0.03 per share even though the S&P 500 had doubled! Skittish investors bailed in a move they would come to regret. It turns out that QSII was taking steps very similar to those EKSO is taking today. Senior executives were positioning the company to capture a much bigger prize that was not immediately apparent – the shift to cloud computing. 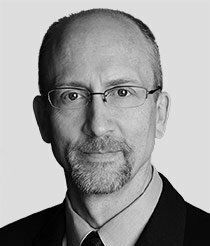 That seems obvious today, but back then QSII made a very deliberate pivot to capture the thousands of hospitals and medical care providers who needed to… who had to… shift to cloud computing to keep costs down and efficiency up. Earnings soared an extraordinary 344% from fiscal year 2000 to fiscal year 2001 as the company led the revolution driving two of our Unstoppable Trends – Medicine and Technology. Only five years later the stock reached $22 a share in January 2006. Investors who stuck with it laughed all the way to the bank for having the extraordinary patience to clean up with a 3,135% gain that turned every $1,000 invested into more than $32,350. Hi Keith! First Off. I would like to thank you for all your insight. I have followed this stock ever since the beginning of the year before it split. I have a very firm belief that this company is way ahead of its time. Especially now with the government contracts and The exciting "Iron Man Suit" They have created for the Military. My Question today is! With all the talks of a "Market Crash" on the rise and Janet Yellen holding the pin. Is this Stock (Ekso). I hold shares in it. Is this a safe stock to be in if the market does Crash. I ask this because I read everything from you and your colleagues. Although! I am new to the market itself with investing. You! Recommend Defense stocks. I do understand why. But my real question is. Is this kind of stock one that will hold wait if the market goes south. Or is it one that will drop down to pennies. The Defense stocks you recommend. Like Ratheon or Harris. Is it smarter to hold them now or wait till it does or if it does. Im leaning towards the "It will very soon"..
What is your take. Greatfully Appreciated.